It is my great pleasure to welcome the UIPM Family to Drzonków, an important destination for highlight competitions. Drzonków is known worldwide as one of the best training centres of Modern Pentathlon based on excellent facilities and the horse environment. A favoured place for different nations to prepare their athletes for international Championships. 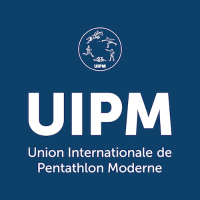 In the name of UIPM, I would like to thank the national federation, the national and local government, the National Olympic Committee, and the sponsors and suppliers for all their financial and logistic support to make the UIPM World Cup #4 a successful event. Also a great thank you to all volunteers and the media for producing unforgettable moments and pictures we can spread around the world. I wish all athletes a fair and successful competition in healthy conditions on the highest level in the Olympic Spirit. The legacy of Pierre de Coubertin should be always supported in Drzonków where we have a Modern Pentathlon tradition for more than 40 years. I invite the sporting communities, the public of Drzonków to enjoy the competitions and to give to the athletes strong support in these beautiful sporting facilities.